Need to build an iOS app around a web API? You need just the bare facts on how to get CRUD done on iOS. That's what this book will do for you. 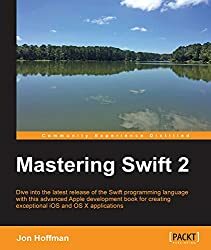 This book was written using Swift 2.0, Xcode 7 GM seed and iOS 9. Designers, managers, UX pros, ... It's a programming book. All the monospace font inserts will probably drive you crazy. Christina Moulton has been developing iOS apps for 5 years and still randomly types retain]; once in a while. She develops custom iPhone & iPad apps at Teak Mobile Inc in Ontario, Canada. She enjoys every part of the process: starting with initial concepts then designing the interface, writing code, and submitting apps to the App Store (well, not really the submission part, iTunesConnect is awful). She's currently off sailing for a few years. Christina holds B.A.Sc. and M.A.Sc. degrees in Systems Design Engineering from the University of Waterloo. She writes Swift developer tutorials at GrokSwift.com as often as she can.